The Founding Fathers would "repent in Heaven" - as John Adams threatened those early Americans - if they could see the country they founded and what has come to light in the past few days. If anybody can tender any argument whatsoever in defense of the Internal Revenue Service, I for one wish to hear what it is. I am not a conspiracy theorist but hey, whaddya know: the conspiracy theorists were right all along. The United States Federal Government really has been spying on the dissidents, the disaffected and those who want less intrusion into their private lives. Add in how the government has also been found to have been spying on Associated Press journalists and then the whole mess about Benghazi (which cost lives, mind you) and only an idiot would deny that We The People are no longer in charge and that our own government has become a colossal, reprehensible beast. Audits. Threats. Intimidation. Favoritism toward political allies. Cover-ups. Seizing millions of private individuals' medical records. Bullying a conservative education group to turn over the names of high school and college students. Not even Billy Graham's ministry has proven safe from the IRS. Our forefathers went to war with England for far, far less than this. They bought our liberty with their blood. Too many of them paid the price for a freedom they knew they would never know but wanted their children and their children's children to have. We owe their memory better than this. Yes, Mr. Adams. The time has come to repent in Heaven. The government which you and Jefferson and Franklin and Washington and Madison and Morris and Calhoun and the rest gave us, doesn't exist anymore. We had a republic and we couldn't keep it. They may have been elected, but they are not leaders. They aren't my leaders, anyway. They are, at most, glorified gangsters. Albeit gangsters with their very own Gestapo. And lots and lots of bullets (which we still haven't been given an adequate explanation for). The Founding Fathers never would have entertained the notion of a government agency empowered to intimidate and threaten and confiscate the property of the people of the United States... much less approved of one! Either the Internal Revenue Service is abolished for good, obliterated totally and its entire structure laid waste. Or, there can be no more confidence and trust that We The People can place with our own government. This is our Runnymede, folks. King Obama Lackland needs to be dragged kicking and screaming to the pasture and told in no uncertain terms "you've gone mad with power, John. Now sign on the dotted line and get the hell out of our way." Say what one will for all his faults, but at least King John had enough sense to comprehend what the barons were telling him. But then again John didn't have mega-sized computer databases, airborne drones and a secret police at his beck and call. Either the IRS goes, and with it all its power and authority (which there is considerable evidence it was never meant to have to begin with), or there is no longer any pretending that we are living in a free nation of the people, by the people, and for the people. There will be only government for the sake of government. That is not the country I want my children to grow up in. And you shouldn't want it either. Chris, if you'd said this back when the IRS was investigating liberal groups (which it still does, especially when they are breaking the rules involved with being a 501C non-profit group as the conservative groups have done) it might make sense. Now it just comes across as you not doing your research. Jessica, it bothers me that the IRS is investigating and intimidating *anyone* for apparently political reasons. I may not think highly of the NAACP, the Southern Poverty Law Center, Planned Parenthood or PETA. In fact, I believe that each of those organizations is a blight upon our society in one form or another (particularly Morris Dees and his Southern Poverty Law Center: the most disreputable organization in America). But I'm not of the mind that the power of the government should be used to persecute any of them just because they are "liberals"! Now Jessica, I would like to know, and I am sincerely curious about this: what "liberal" groups have been targeted by the IRS to the same degree as the "conservative" ones apparently have been? Since you mentioned non-profit groups, I feel led to note that predominantly black churches in areas with hi number of registered Democrats have long enjoyed hosting political activities on behalf of Democrat candidates and numerous "liberal" causes. Some such churches have pastors who have even endorsed candidates from the pulpit, in violation of their 501C status. Yet to the best of my knowledge, not one such church has been taken to task for violating the terms of their non-profit status. Perhaps there has been one. I would seriously like to know about it, though. As well as any other "retaliatory" audits and intimidation by the IRS. While we're at it, Chris, I realize that churches (not just "black" churches) are often places where political activities are hosted and even where voting occurs. But frankly, certain activities are questionable, no matter what political idealogy one follows. When a church tells someone they can't be a member or hold church office unless they vote a specific way, they've stepped over the line. Remember the Waynesville, NC church that excommunicated all Democrats? Care to show me an example of a "liberal" church doing the same? You want to know something? I had forgot about this being done on Bush's watch as well. Albeit not anywhere close to the lengths of the IRS's actions during Obama's tenure. But it still happened and I sincerely thank you for recalling that to my attention. Using the IRS to intimidate and threaten people is wrong no matter who or what party is behind it. And to be honest, if the IRS was singling out opponents to Bush and his policies, it doesn't surprise me one bit. George W. Bush was the WORST President in American history. The only reason Obama doesn't eclipse him in that regard is because Bush practically set the stage for Obama's election. Then again blame must also be put upon the electorate foolish enough to believe either of these men are/were leadership material. That Democrats AND Republicans are abusing the IRS cannot be denied. So the solution is simple: abolish the IRS. I don't expect that to happen. For one thing, the Democrat and Republican politicians alike LOVE the IRS too much than to let it go, because it is such a potent weapon. For another, there are too few elected officials who have vision, imagination and creativity to come up with something BETTER than the income tax now enforced. We don't elect leaders anymore. We elect people who'll maintain the status quo. And we aren't going anywhere as a result. Now for your question: I *do* know of a "liberal" church excommunicating a person because of his beliefs! It happened in 2000, when I was a reporter in Asheville. All-Souls Episcopal Church in that town excommunicated author Lewis Green because he didn't approve of the pro-homosexual agenda being pushed by th church's clergy. So he was officially drummed out in order to maintain "unity". Green was a rather respected author and journalist, as well as being a fiercely independent fellow. I got to meet him several times when I was living there. His excommunication was a matter of public record. A lot of people couldn't believe it when it happened. So there again, "conservatives" and "liberals" abuse power and authority in the same ways to attack and threaten and intimidate those who do not agree with them. And it is STILL wrong regardless of who is doing it. 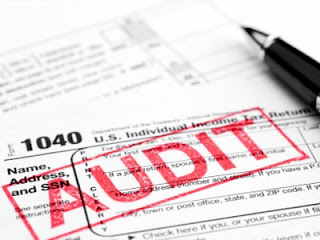 That said, the abuses at the IRS currently being discussed are of such a magnitude that they do warrant the IRS being abolished once and for all. If that is not to be, then why? And if not now... then when? Actually, I know Lewis Green. One of the first jobs I ever had was selling his newspaper, The Native Stone. I spoke with him many times when I worked at Downtown Books and News, and yes, I know of his excommunication. I also know about the things that led to this, including his vicious and rude behavior at the Church, including (if I'm not mistaken) an incident involving the Communion cup at one point. I don't know what caused his behavior or his extreme anti-gay stance, but he went through a major personality change in the4 years I knew him. I still remember the positive article he wrote about a group of female impersonators in the Native Stone. To compare his excommunication to what happened at the church in Waynesville is like comparing apples to lugnuts, and frankly, I expect better of you. Yes,there have been abuses with the IRS, on all sides. You want to abolish the IRS, and taxes as well, obviously. I'd like to see some major changes, but honestly, I like many of the services that those taxes pay for, and I'd rather see such taxes administered fairly rather than see those services privatized. Where we may differ most (other than towards LGBT issues) is that I'm not anti-government. I realize that WE are the government, and that WE need to step up to the plate and do the work if we want anything done. Sure, we'll make mistakes. Humans do that. But the intelligent ones will learn from them and work to correct them, rather than throwing up their hands and giving up, or ranting and raving and saying things like "He's not my leader." What a load of BS. As long as you are an American citizen, YES HE IS, whether you like him or not. I didn't like many of the things done by Presidents I voted for and those I didn't. They were still MY Presidents and they were still the Leaders of this country. It's time for people to grow up and stop acting like petulant children.